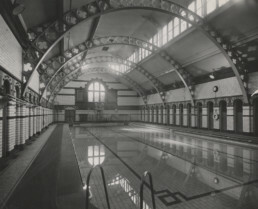 A remarkably intact Edwardian pool, originally a public baths now owned by Aston University and operated by Sport Aston. The building has been redeveloped three times since opening in 1860; in 1902 (when the current pool was built as the First Class Pool), then in 1920 and most recently in 2010. The centre now combines the best of modern gym and fitness facilities with a beautiful heritage pool. 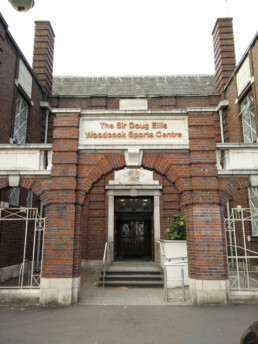 25 yard pool, sauna, steam, 100+ station gym, sports hall (converted from the 1902 Second Class pool), three studios. 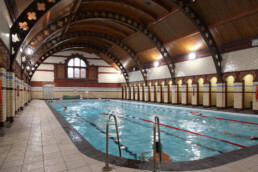 The pool at Sport Aston is Birmingham’s oldest operating pool and one of the oldest in Britain. 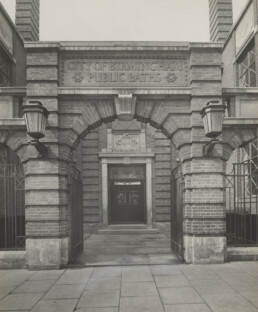 Originally called Woodcock Street Baths, there has now been a pool on the site for over 150 years! To continue to provide top class facilities for students and the local community.